You are encouraged to take notice of animals and insects, dead or alive, in and around the Columbus campus of the Ohio State University. 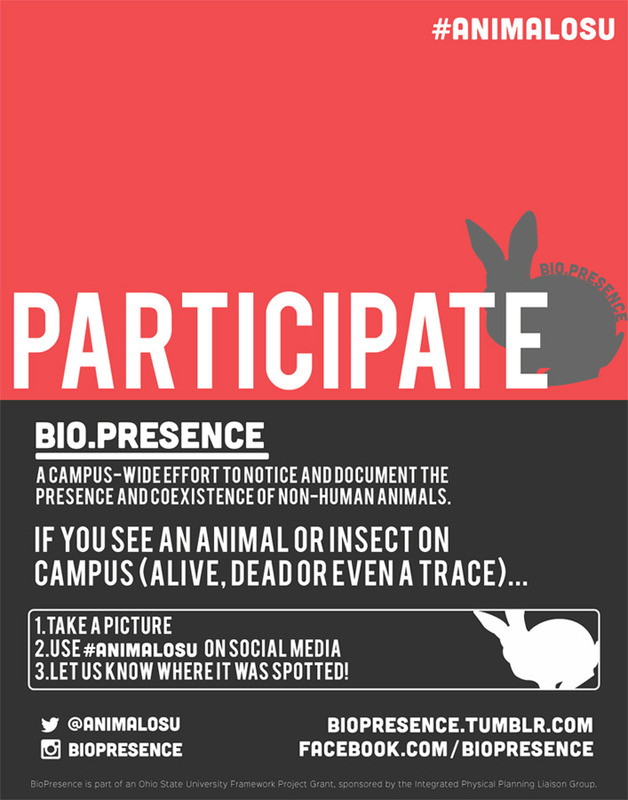 Please share what you are seeing on social media; write a tweet, take pictures, videos, audio and post them using the #AnimalOSU hashtag. See the latest posts here. Where are animals spotted on campus? Check out our Instagram image map of campus animal locations. Your own public Instagram photos will appear here you have a location identified and you tag it with #AnimalOSU. Join us on Instagram, Twitter, Facebook, Google +, YouTube, Flickr and Tumblr.